If you step into the gym, you will immediately notice something. You will see guys with huge arms, huge chests…. and chicken legs. It’s pretty amusing watching these guys with huge biceps as they strut around on their toothpick legs. The problems is that many guys spend most of their time working on their show muscles, and totally neglect the legs. If you are one of those guys, then you should remind yourself of the fact that legs make up half of your body. If you don’t work them, then you will never see the total gains you want. With that said, I will assume that you do spend a considerable time working your legs with such staples as deadlifts, squats and a variety of other exercises. However your calves have not attained the size that you want. For many people, the calves are their most stubborn muscles and even if you spend considerable time working them, they still refuse to grow. If you have that problem, then you should consider changing your approach. The calves support and stabilize your legs and the rest of your body. So having big and strong calves, isn’t just a matter of having good looking legs, but also results in many functional advantages. With stronger calves your performance in many sports will improve, you will be able to jump higher, run faster and perform many activities in a more explosive manner. In order for you to better understand how the calves work and what types of things you need to do to train them, you should have a basic understanding of what the calf muscles actually are. 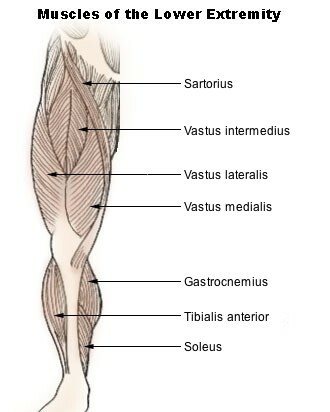 The back side of the lower leg (the calf) is made of two main muscles, the gastrocnemius and the soleus. The entire system of calf muscles is sometimes called the triceps surae muscle, or the three-headed calf. The gastrocnemius is the externally visible muscle and has two heads with attachments above the knee and running all the way to the heel. Running under the gastrocnemius is the soleus muscle. It also starts a bit above the knee and runs all the way to the heel. Both muscles join together to form a tendon at the heel, which is known as the Achilles tendon. While both of these muscles are located right next to each other, their internal make up is totally different. The size of the calves is largely dependent on that make-up. The soleus muscle is made up mostly of slow-twitch muscle fibers, while the gastrocnemius is made up of mostly fast-twitch muscles. However it’s not so simple, since the percentage of fast-twitch muscle fibers in the gastrocnemius varies greatly from person to person. 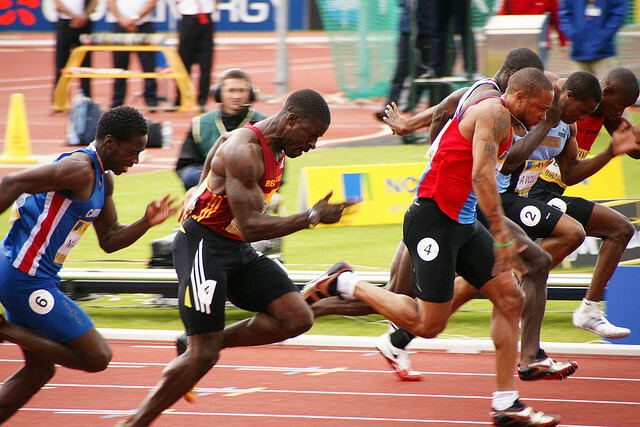 This amount of fast-twitch fibers is the main determinant of the initial size of the overall calf. The people who have a higher percentage of slow-twitch muscle fibers in the gastrocnemius will find it harder to add size. On the other hand, people who have a higher percentage of fast-twitch muscle will find it much easier to add size. That’s because slow-twitch muscles are smaller than fast-twitch muscles and their potential to grow is also rather limited. So don’t despair if your buddy starts doing calf exercises and suddenly his calves get huge, while your calves grow only a little. Most likely his calves have a different make up than yours. Persistence is key here. The two types of muscle fibers respond to different types of training. The fast-twitch muscles respond better to heavy loads, while the slow-twitch muscles respond better to more reps and longer types of training for endurance. In order to get your calves to be as big as possible, you need to combine trainings for both the soleus and gastrocnemius muscles, using several varied strategies in order to hit all parts of the calves and force them to grow. There are two main ways of doing calf workouts: straight leg exercises mostly hit the gastrocnemius, while bent leg exercises mostly hit the soleus. Your lower leg routine should however not be all about these two muscles. 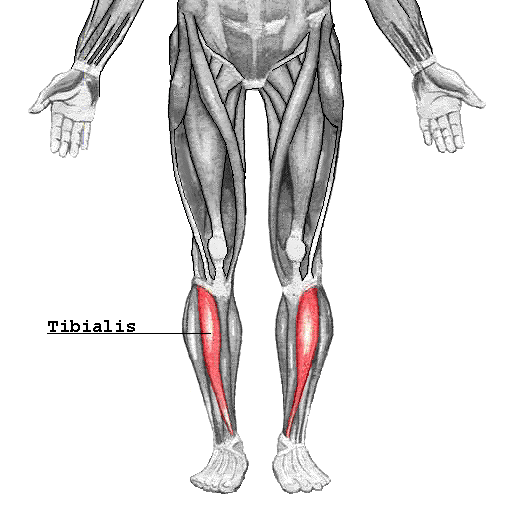 Not many people know this or pay attention to it, but the front side of the lower leg contains the tibialis anterior muscle. This muscle is rarely paid attention to by most gym-goers, but if you want to have more powerful and functional legs, you should not neglect it. First off, you can do 100 bodyweight calf raises every day in the morning after you wake up. You can change up the positioning of your toes, sometimes doing them with your toes pointing straight, sometimes out and sometimes in. Calf training is something that I will try to incorporate more of in this year’s routine. While I don’t have chicken legs, I admit I could use some work on my calves. The End Of The World Is Near, The Selfie Stick Is Here!